The final MainStage production of the season at Richmond’s Gateway Theatre kicks off on April 12. Set in 1924 Kowloon, Nine Dragons will lure fans of gripping detective drama but it also tackles some deeper issues. 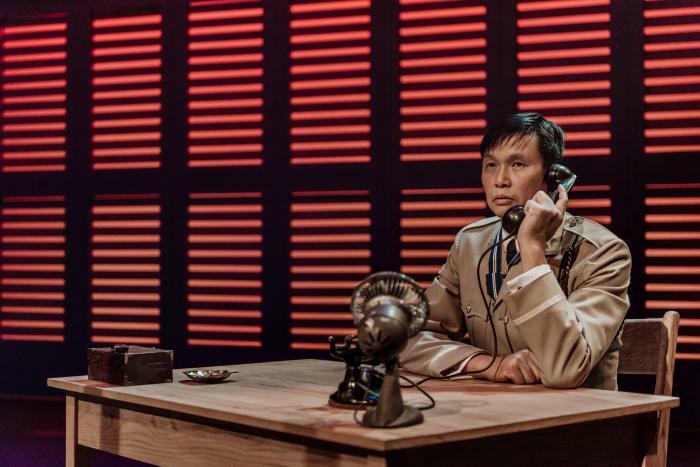 We chatted to the play’s writer Jovanni Sy – who is also Gateway’s artistic director – about this hotly anticipated new show. Tourism Richmond: Tell us in a nutshell what this play is about. 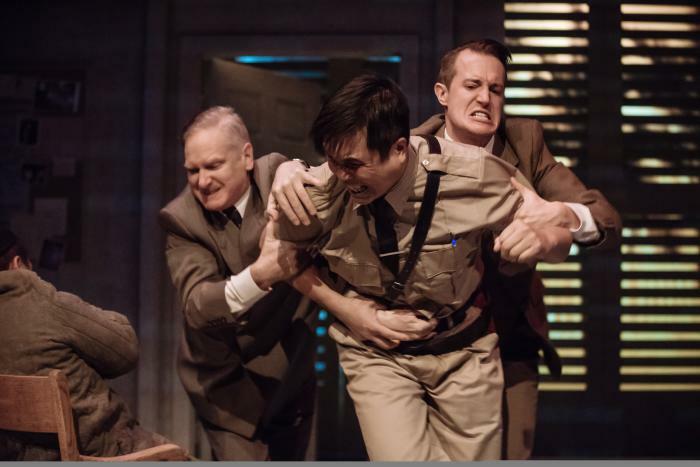 Jovanni Sy: In 1920s colonial Hong Kong, Sergeant Tommy Lam – a brilliant and underappreciated detective – races to solve a series of murders while contending with the prejudice of his English supervisors. TR: So, is there more to this story than solving crime? JS: The prime suspect in the case is Victor Fung, the son of one of Asia’s wealthiest tycoons. In the cat-and-mouse game between Tommy and Victor – two Chinese men separated by circumstance and privilege – Nine Dragons digs into complex issues of race and identity. TR: Why did you set the play in 1920s Kowloon? JS: I’ve directed quite a few shows in Hong Kong and consider it my second artistic home. And the 1920s? You can’t beat the fashion from that period! TR: Are you a fan of detective stories – and what were some of the inspirations you drew on for this play? JS: For sure! Growing up, I devoured Agatha Christie, Raymond Chandler and Dashiell Hammett. These days, I enjoy Ian Rankin and Qiu Xiaolong’s Inspector Chen series. TR: Tell us about the cast – was it hard to find the perfect Tommy? JS: Not at all! I wrote the part for my good friend John Ng from CBC TV comedy Kim’s Convenience. I’m thrilled that he’s playing Tommy. TR: Tell us about the staging – aren’t there some cool multimedia elements? JS: There’s some amazing video designed by Jamie Nesbitt. The video does a wonderful job of creating atmosphere and making seamless transitions from a gritty police station in Kowloon to a palatial suite atop Hong Kong’s Victoria Peak. 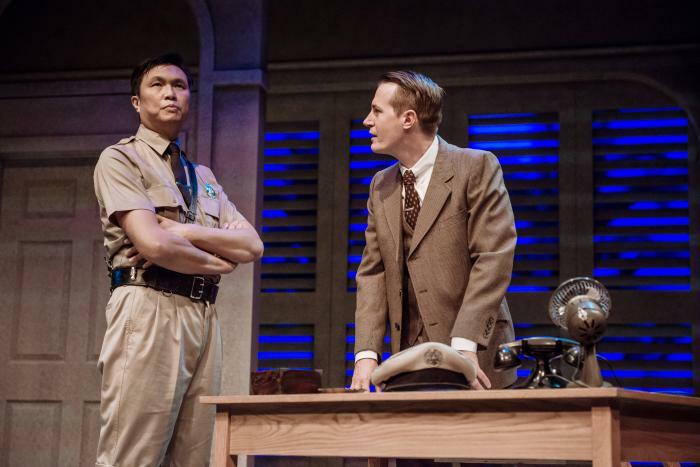 TR: Fans of hard-boiled detective stories will likely love this play – but does it have a wider appeal? JS: Definitely. A lot of what I’m hoping to achieve with Nine Dragons is what was done so effectively in the movie Get Out – to take a well-loved and familiar genre and tell it from an outsider’s perspective. And, in doing so, I’m examining questions of race and identity within an entertaining and accessible format. TR: Nine Dragons seems like it would make a great movie or TV series. Do you have wider aspirations for it? JS. I’m definitely open to the idea of adapting Nine Dragons for the screen! TR: You are also an actor and director. Do you have a preference for writing, directing or acting? JS: I love them all. Usually whatever I’m not doing at any given time is what I wish I were doing instead! Nine Dragons is on stage at Richmond’s Gateway Theatre on most evenings and some additional afternoons between April 12 and 21, 2018. Special events during the play’s run include a forum on colonial issues prior to the April 15 matinee; a launch of the script in book form before April 17’s evening performance; and a Talkback Thursday cast and crew discussion after April 19’s evening show.